Richard Daley served as Mayor of Chicago for 21 years, making him the longest serving mayor in the city, surpassing the tenure of his father, Richard M. Daley. He ended his time as mayor on May 16, 2011, when former Obama Chief of Staff Rahm Emanuel succeeded him. Since his first election in 1989, Daley has helped improve the city’s education system, economy, gun control, and overall quality of life. In 2005, he was chosen by Time magazine as the best out of five mayors of large cities in the United States. Mayor Daley is married to Margaret “Maggie” Corbett, who has been battling cancer since 2002. Maggie and Richard were co-Grand Marshals of Chicago’s 2011 St. Patrick’s Day Parade. They have four children: Nora, Patrick, Elizabeth and Kevin. William Daley is President Obama’s current chief of staff. He served as U.S. Secretary of Commerce (1997-2000) under President Clinton. He is a lawyer and former banker. 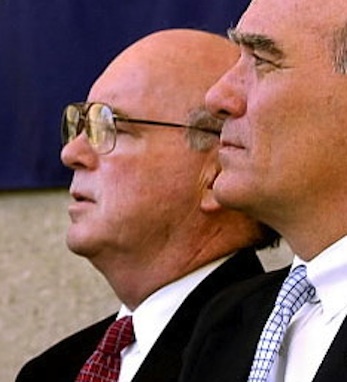 In May 2004, Daley was made the Midwest Chairman of JPMorgan Chase & Co. He was appointed as White House Chief of Staff in January of 2011. Daley is married to Bernadette Keller. The Daley brothers’ ancestors emigrated from Dungarvan, Co. Waterford during the Great Hunger.